What Is A Prayer Point? 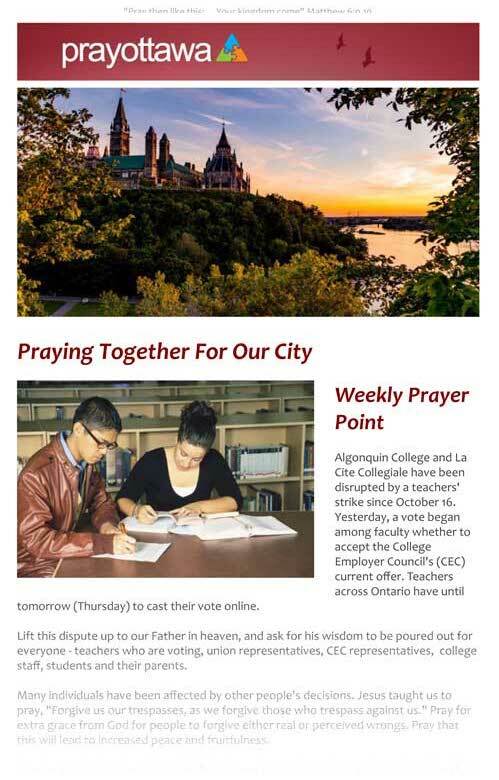 Every week Pray Ottawa shares a brief “Prayer Point” about a specific topic in our region. Through this simple weekly practice, we have the opportunity to pray as a city, in a coordinated way, for the efforts, challenges and well-being of the people who live here. Want to join in? Sign up below to receive the email or follow us on Facebook.